For fixtures, we consider welding to be both a science and an art. For automated component production, Tusco employs the science of sophisticated robotic welders. But many fixtures require the addition of a professional human touch, and other manufacturers envy the welding experience we have in-house. When your fixture requires the welding of wire components, in-store performance requires precision. 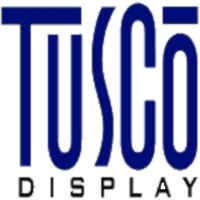 Tusco supplies confidence by utilizing rocker arm welders, press-welders and three separate CN controlled resistance welding cells (including a wire mesh welding cell) to get the job done right. Aluminum or steel, TIG or MIG process, proficient manual welding is a specialty – and an art – at Tusco.